It’s Feb 1, 2014. I am on a plane to the Dominican with my family to celebrate my daughters 16th birthday. And I am now jobless. What now? What do I want to be when I grow up? After weeks of reflection and a bit of job searching, I realized that the good jobs required commuting to Toronto. So, I registered my new business, Simply Design. A week after registering this business, my husband moved out. The second blindside in less than 6 months. I REALLY did not see that one coming. I spent the summer of 2014 on what I jokingly referred to as a government funded sabbatical. Don’t get me wrong, I job searched … and soul searched, but it was not my main focus. My time was mostly consumed with reassuring my daughters (then 16 and 10) we were going to be okay, selling our beautiful family home and looking for a new house more suited to an “independent mother”. I had decided to shelve the idea of self-employment and look for a steady reliable income. Once the girls were back to school, reality sunk in deeper. I had a mortgage and two mouths to feed. I needed a reliable paycheck! Easier said than done. After 5 more months of job searching, I decided to revisit Simply Design. I applied to the SEA (Self-Employment Assistance) Program at Bern (Barrie Enterprise Resource Network) and decided to be my own boss. I am good at what I do so I was going to keep doing it! In March 2015, I began the classes at Bern to be a successful business owner. I really was only in it for the government grant. I didn’t need the training… so I thought. I had a business before; I helped run my husband’s photography business. I did not expect to get much out of the SEA program. I was proven wrong. I learned a lot of valuable knowledge to be successful in business, made lifelong friends and began to build the network I needed to continue on the path of success. During my time in the SEA program, I gained knowledge and contacts and a few clients. But after being pushed out into the “real” business world, I was still not certain this would work. But 18 months later I was growing. A year ago I was worried about paying bills, now I saw things falling into place and was providing for my family. Success was within reach. I just kept doing what I do best; taking care of my clients! My www.houzz.com page is proof that I am doing a good job and progressing. I have been blessed with great clients and fun projects and look forward to years of more of the same! So now you have read Simply Design’s short history. 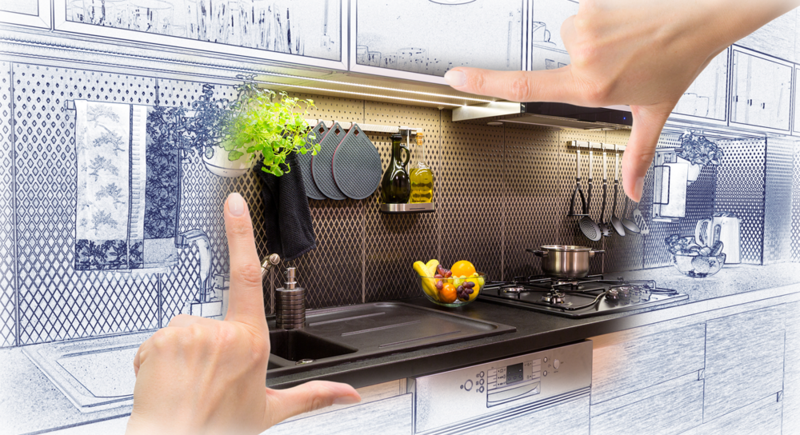 Simply Design plans and manages renovations. I save people from stress and I keep them on budget and on schedule. I use my 20+ years of education, business, renovation and design experience and combine it with my customer service, organization, and creativity. I’ve built a company that provides quality service with a great deal of care and consideration for my client’s home so they can have a space that functions and reflects their personal style.